Calling this program a “model team” can be misleading. People often think this means I am just looking for girl who are pretty & popular, but that’s not the case! Although all the girls I photograph are beautiful inside & out, I am not just looking for pretty faces- I’m looking for gorgeous souls! The IBI model team are the representatives for our brand itself, & I take that very seriously! This means I am looking for exceptional girls who will be invested in the experience & that will represent the team in a positive way. 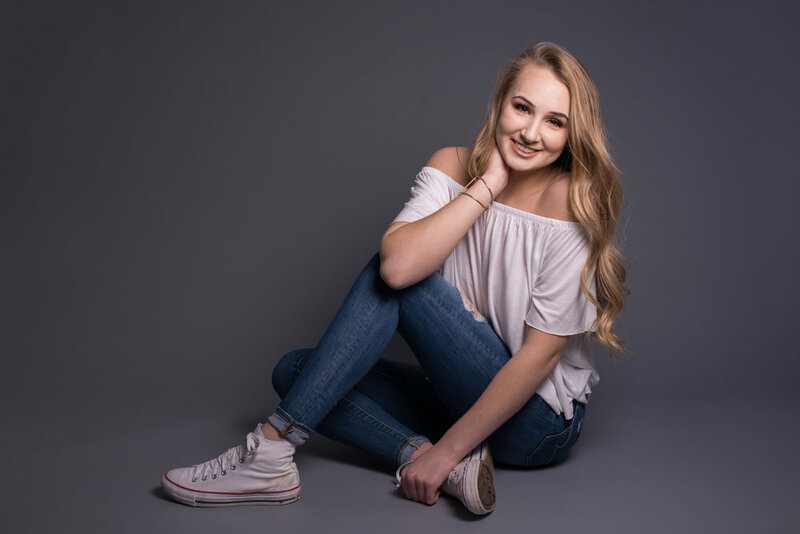 The model team will be a great place to meet new friends, grow existing relationships, take gorgeous pictures, laugh until your stomach hurts, explore new adventures and have a senior portrait experience of a lifetime! We’re planning on having a ton of fun this year, and I strive to create photoshoots & events that will make your senior year extra special. In return, models must be willing to promote IBI & share their images & experiences on social media plus word of mouth to their friends! When reviewing applications, I am looking for girls who are bubbly, outgoing, friendly, honest, hard-working, & passionate. EVERY girl is encouraged to apply- I can’t wait to work with you! How do you promote IBI? It’s easy! + Shoot exclusively with Images By Ivy for the 2019-2020 school year. + Talk about your experience! Let your friends know what makes IBI special, tell them about your photoshoots & how you felt in front of the camera! + Share your photos on social media throughout the year. Use you own words to recommend IBI to your peers! + Follow, like, comment & share posts by Images By Ivy. Your friends will see all your activity. + Be active! Participate in as many group shoots & model team events and get togethers as possible. Note: Senior Models are not required to earn any certain number of booked referrals, but they will only be eligible to receive rewards or bonus items if booked referrals are made. IBI Senior Models receive all kinds of exclusive perks! Individual mini session in Spring 2019. This gives us the opportunity to get to know each other a little, & create some images that you can share over the Summer and allows you to genuinely tell your friends about what it’s like to shoot with IBI! Opportunities to participate in editorial, styled, themed or creative group shoots throughout the year! A personalized phone app loaded with social media sized photos from your Spring mini shoot and any team/group shoots to share on social media and show off! Priority booking status- so you can choose from the best dates available for your senior portrait session. Individual senior session in the Summer/Fall of 2019, with the option of adding on professional hair and makeup for a one-of-a-kind experience with three full hours of shooting! Exclusive IBI swag, apparel, welcome packet, and other goodies! Fun monthly activities & get togethers, model team parties and more! Opportunities to earn cash rewards, product credits and prizes when you refer your friends as well as exclusive product specials & special offers. I have special relationships with my senior models, and they receive a lot of awesome perks & rewards- but they are also paying clients. Upon joining the team, each senior model signs our detailed senior contracts and pays their non-refundable session retainer of $150. The session retainer books the model’s individual senior shoot for the 2019 Summer/Fall season which includes their 3 hours of shooting time as well as a private, in-person image reveal & ordering session 2-3 weeks after their shoot. If you wish to add on professional hair & makeup, let us know & we’ll contact our HMUA- whom you pay directly the day of your session. Like all IBI seniors, models are also required to make a $500 minimum order. Products orders are made at the in-person ordering session and payment is due at the time of that appointment. There are no products or digital files included in the session retainer, and no products (digital or print) will be delivered without full payment. Senior models may purchase products ala carte or choose one of our four custom collections. Prints start at $20 and collections start at $500. A detailed price list and copy of the senior model contract will be sent to all applicants. I am available to answer any questions via email you may have about our model team! Have you read this information guide in it’s entirety? Do you think the IBI model team would be a good fit for you? Have you discussed the program with a parent & got their permission to apply? Would you be willing and able to to come to group events & work with other models? If yes, girl you are ready! Continue below and fill out that application, girl!